These days, when four of the top 10 grossing movies of all time are based on characters from Marvel Comics, it’s hard to imagine what the scene was like in 1940 when Lee got his first gig—at Timely Comics, which would become Atlas, which would become Marvel. The idea of something called a “comic book” was just a year or so old; Batman and Superman—products of Bob Kane and Bill Finger, and Jerry Siegel and Joe Schuster, over at what would become DC Comics—had jump-started an entire medium. There was no such thing as a “graphic novel.” We could argue, I guess, about when human beings first paired static images with spoken dialog and sound effects (was it cave walls 40,000 years ago, or newspaper comics in the early 1900s?) but let’s not fight about what happened when Lee took over Marvel in the 1960s. In late life, Lee’s creative output perhaps didn’t match what he’d done in the 1960s and 1970s. Stripperella, the character Lee created in collaboration with the actress and model Pamela Anderson, seems unlikely to have the staying power of, say, the Black Widow. He worked with other entertainment companies, and ended up in financial and legal fights with some. In the last year, people in the industry worried that Lee’s caretakers were taking advantage of him—something he denied. Lee was every bit as complicated as the characters he created—or co-created, or present at the creation of. 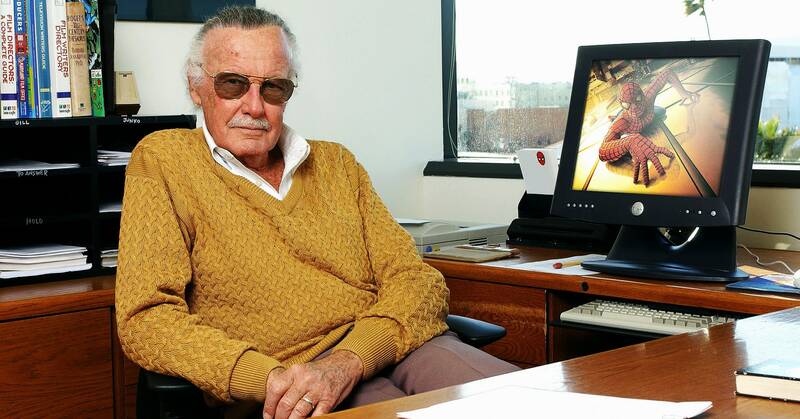 His creativity and ideas cast a mystical field over the popular culture of the 20th and 21st centuries, and taught generations of nerds of every flavor and stripe about responsibility, morality, and love. And in a sense, his death can’t be any more permanent than one he might have written for a comic-book character, because the stories he began are all to be continued, forever.